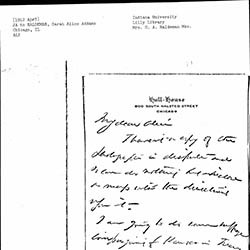 Addams writes Haldeman that she will be in Kansas to campaign for woman suffrage in May. 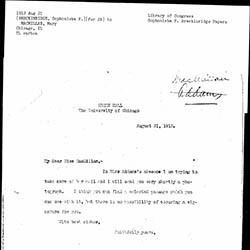 Miller asks Addams for a recent photograph for publicity purposes. 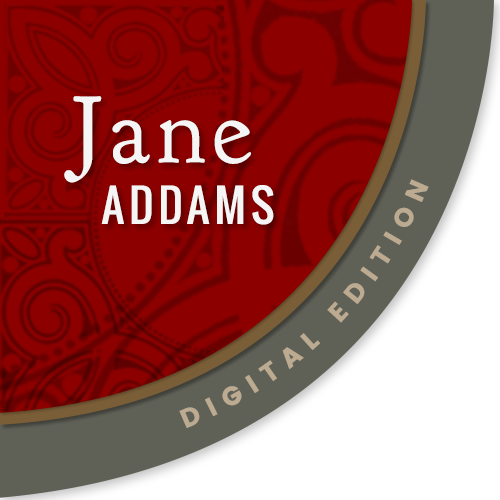 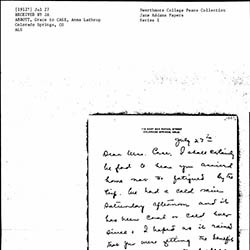 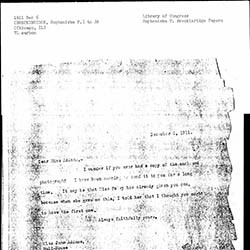 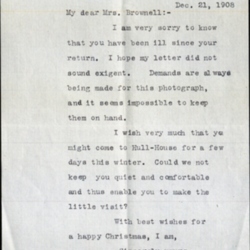 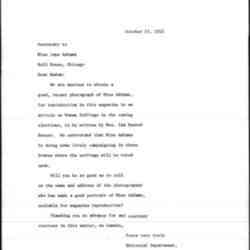 On behalf of Addams, Breckinridge writes MacMillan that she will send the requested photograph of Addams. 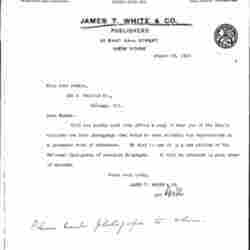 White & Co. request a photograph of Addams to be included in the National Cyclopedia of American Biography. 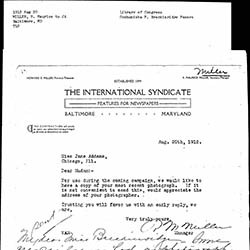 The Review of Reviews asks Addams' secretary for a photograph to go along with an article on woman suffrage and the presidential campaign.